There is a rumor that they can fly. Jackie Chan is one of the most famous actors in Asia, the eternal Savior of the world with a sly and kind smile, director, stuntman, screenwriter, producer, philanthropist. He gathered a unique creative team in his Beijing company: he combined dancers and athletes for an incredible performance, which converged elements of kung-fu, Traditional Chinese ballet, and modern dance. Defend, protect and conquer are the main goals of any battle, any war. The fight turns into the art, when its practice becomes a form of learning, consistently defeating aggression. The literal meaning of the term "kung-fu" is not a victory, but the development and perfection of oneself through the masterly acquirement of technics. 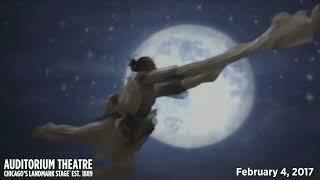 In five acts of the show represent the Kung Fu history: from the mythical origins of the practices of Shaolin monks to sophisticated modern techniques. It's a fantastic journey that reflects the physical and spiritual development of the Kung Fu master. What seemed fantastic on the screen, on the stage happens without any special effects and editing tricks: Live miracles in real time and space. Sun, fire, rain on the stage – the fascinating magic of ancient art in combination with the most modern multimedia technologies. Fabulously animated dragons and incredibly talented dancers. The show fascinates from the beginning till the end. It opens the best sides of the art of kung fu, proving that people know how to fly.